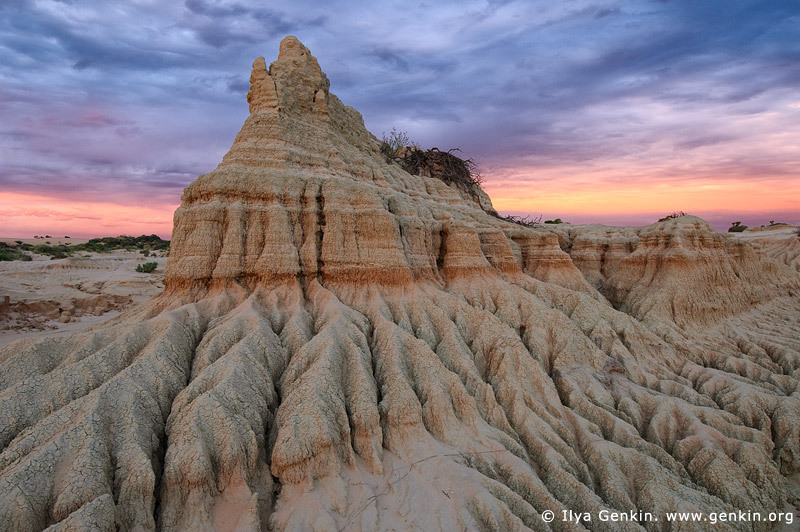 Picture of the dramatic blue and yellow-orange storm clouds over the walls of China (Lunette) at sunset in Mungo National Park, NSW, Australia. Last rays of the low sun highlighted threatening clouds. This image id AU-MUNGO-0012 of The Walls of China (Lunette) at Sunset, is copyrighted © by Ilya Genkin. This is not a public domain image.